We will distribute the entire award among all campaign participants 2 weeks after the bounty has ended. 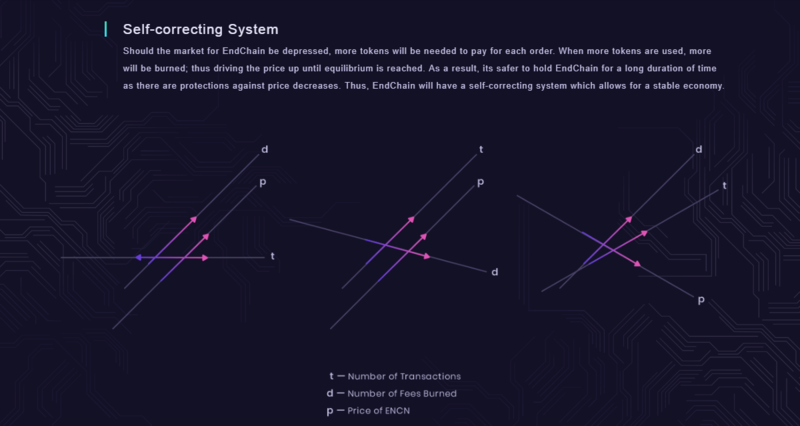 *EndChain reserves the right to make amendments to the bounty program at any time. * EndChain reserves the right to remove stakes/participants from the bounty for any reason such as unethical behaviour and fraudulent submissions. Participants in this campaign have to be at least a Jr.Member rank to wear our signature. If you don't reach 10 posts before a Sunday, you will not receive any stake for the current week. When you post in your Local forum you should post in Alternative Cryptocurrencies thread if it is in your Local forum thread. You must keep the Signature until the end of bounty, removing the signature before that time will result in a disqualification. Only ONE Bitcointalk account per person. + 1 stake per week, if you use personal text. Your account must be at least 4 months old; only one Facebook account per person is allowed. Your Facebook account must have at least 200 friends. You must make at least 5 likes and shares per week (different posts); maximum 15 posts. Privacy of all shared links must be set to open, so we can track them. Comments on our posts may also be constructive questions/answers. We embrace and encourage discussions about our product. Every week post a reply to thread with the links of your Shares/Posts. 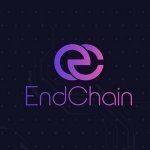 Follow us on EndChain Twitter. Your account must be at least 3 months old. Only one Twitter account per person is allowed. Must make at least 5 likes and 5 retweets per week (different posts) from @EndChainIO; maximum 15 retweets. Every week post a reply to this thread with the links of your Tweets/Retweets in the following manner. Follow and respect these guidelines. Be active and supportive in the channel, but dont overdo it. Stay in the channel until the end of the crowdsale, otherwise you will be disqualified. Activity % will be checked weekly by Combot. If your flood ratio (showed by Combot) is bad, we reserve the right to disqualify you for the week. 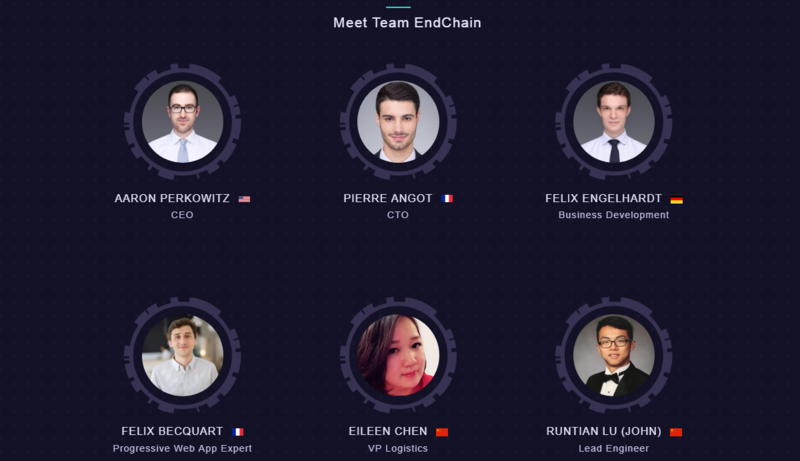 EndChain Team reserves their right to change these terms or apply new ones. Extra 1000 Stakes for the person that is ranked N1 at the end of the bounty! Join the group: 1 Stake! Be an active member: between 5 and 100 stakes as follows. Based on Activity % showed by Combot (Attention: bad "flood ratio" could disqualify you). Participants must pin at least one EndChain relevant post on the top and update it every week. (If you don't pin, you will be disqualified). You will earn 100 stakes of each pin. Participants need to have at least 5 original posts and 5 comments related to EndChain per week to qualify. Make posts/comments about EndChain in the relevant subreddits for the token contribution, for example: /r/EndChain, /r/encn, /r/bitcoin, /r/ethereum, /r/ethtrader, /r/icocrypto... We will count up to 20 posts each week. Participants may use our official images, logos, graphics, and other branding materials from our website. Each post must contains at least 30 words and just 20 words are enough for a comment. All content must be original. Plagiarizing, copying, or translating existing content, including content published by EndChain staff, is prohibited and will lead to disqualification. Users will receive extra varying amounts of stakes according to the number of upvotes on your posts. We will count up to 7 of the highest upvoted posts. Article and/or video must be freely accessible. Article must be original content and contain at least 500 words. Video must be at least 2 min long. Article must at least contain one active link to our website. Video has to show the link to the website at least once and the link must be in the video description. Articles may be shared by us on our Social Media accounts.